A hydrated person tends to have better digestive system and more immunity against common colds. There is nothing more refreshing than a glass of water. It’s not just a necessity, but it makes up around 70% of our bodies. Therefore, water is everything, at least for us humans! In order to function properly, the human body requires a lot of water. This means that the famous 8-ounce of water per day mark is actually for our own benefit. Despite knowing it, let’s face it not everybody tends to follow it. Lethargy and laziness are the biggest signs of dehydration. Our physical performance highly depends upon our water intake, especially when it involves high intensity workout. During physical activity, we tend to lose our water weight in form of sweat and this causes us to tire out in a matter of minutes. On the other hand, if you consume the right amount of quality water, you will see a noticeable change in your energy levels. Out of all the organs, your brain depends the most on your water levels. Brain cells thrive on a delicate balance of water and other minerals and if one is dehydrated, that balance gets disturbed. This causes mood swings, fatigue and an over-all reduced efficiency. It is not just the amount of water, your brains are sensitive to the quality of water as well. Therefore, to give your brain the instant boost, all you have to do is gulp down a glass of fresh, fine and mineral enriched water. Keeping in mind our current surrounding, there is no limit to the amount of toxins that enter our bodies. Certain toxins can cause serious reactions like inflammation and allergies. Drinking enough water cleanses out these toxins, all while completely reversing their adverse effects. In fact, if one drinks enough water, they can expect their skins to get clearer and even glow as well. Especially the usage of water that has gone through water softening systems results in softer skin and smooth hair. 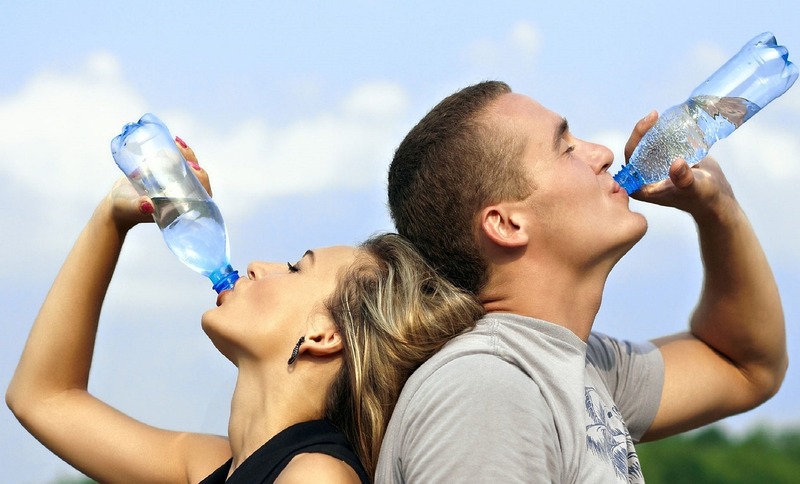 As bizarre as it may seem, but people who tend to drink more water are generally healthier. This is because with water consumption, the disease causing bacteria are washed out repeatedly. A hydrated person tends to have better digestive system and more immunity against common colds. The more water one drinks, the more nutrients get to travel around the body, the more balance there is in the body and the more healthier they turn out to be. Here’s the deal. When your kidneys don’t work properly (due to dehydration), it tends to over-crowd the liver, which then starts to restore fat instead of burning it. Hence, when someone drinks enough water to keep the kidneys clear, it causes the liver to function better. Therefore, drinking water in good quantity helps your digestive tract work in a better way. Usually, before any meal, a glass of water can help you by flushing out the stomach and by giving you that “full” feeling, which will in turn cause you to eat less. Since the most important ingredient in our bodies is none other than water, in order to keep everything in an harmonious balance, we need plenty of water. From our blood to our brains to our muscles and even skin, everything tends to respond better to good quantity and quality of water. On the other hand, when we tend to dehydrate ourselves, not only do our organs suffer but the brain starts retaining water in various parts of our bodies, as a precautionary measure. Getting your water levels right can serve as the first step towards a better and healthier lifestyle. All it requires is well, Water. A stay at home mom to 1 boy. Writing is my passion and I write blogs to speak my heart out.